Educational workshops dates will be posted soon. Once the application is received at our office (see Become a Homeowner), the Family Selection & Support Committee reviews all documents and determines which families meet all requirements. Incomplete application packets cannot be considered. A home visit is scheduled with qualified families to determine greatest need and willingness to partner. Final recommendations are brought before the Board of Directors for approval. Approved families are notified by mail. Approval for the program does not automatically mean the family will close on a home. Families must complete all requirements prior to closing. 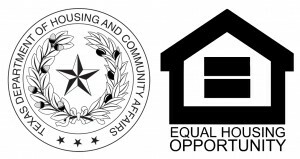 The Family Selection & Support Committee helps families successfully complete all program requirements including sweat equity records and Home Buyer education courses. This committee continues to serve families even after they close on their home. After-closing services may include budget review, continued financial literacy courses, and income tax seminar.